The veterinary industry can be tough to work in - it can be exhausting physically and emotionally. This page has been set up to provide a list of resources to let you know that you're not alone - even if it sometimes feels that way. You can always contact me judyg@vetanswers.com.au or check out any of the links below. 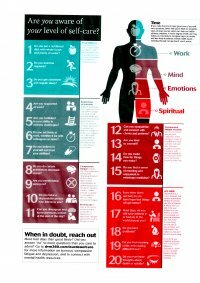 There are also some useful links and resources if you are worried about a friend, family member or colleague. "Burnout is a serious problem in the veterinary profession, one that can have dire consequences. 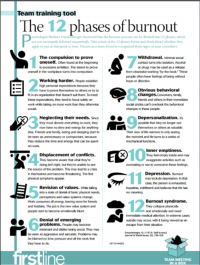 Take a few minutes at your next team meeting to familiarize yourself and your team with the 12 phases of burnout." 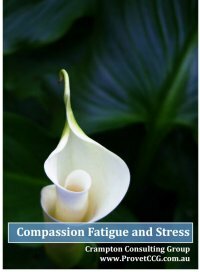 This free resource aims to give you an understanding of compassion fatigue and stress within your specific work environment and includes self-reflection exercises and practical suggestions. From tweets to notes: 1st International Symposium for Veterinary Mental Health & Suicide Prevention (Vetanswers Blog Post) - Notes (or to be more precise tweets) from the 1st International Symposium for Veterinary Mental Health & Suicide Prevention held on the 29th May 2015 in Brisbane.